I wasn't going to enter this year. I may finish, maybe not. Nov 30 is a long way off and a lot can be done between now and then. 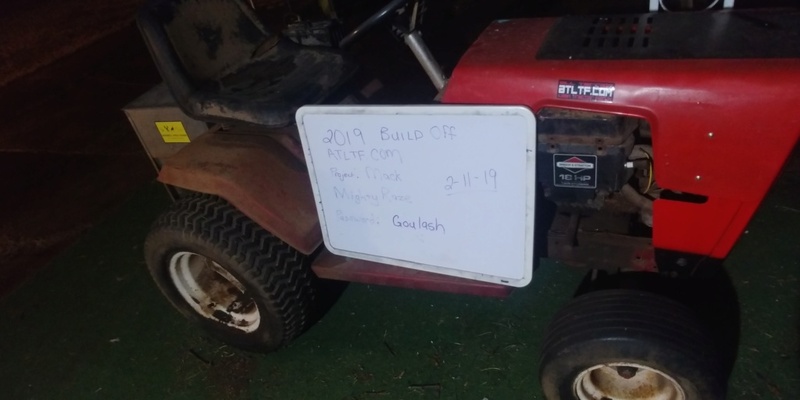 Project Mack, because it is going to be the goto tractor for day to day non-mowing needs. Why Mack? I dunno. Sounded good. At this time I do not plan to lock, but I do plan on a minor pulley swap. I will be installing the Murray sleeve hitch I have under my workbench. Other mods I hope to pull out is maybe create an adapter for some of my SEARS items. I do plan on stretching the front like I did on Kal as I like that wheelbase much better. Suspension: Questionable. I also plan on a winch install. I think I will need a push bumper maybe and definite flood lights up front. I do have a mower deck for this tractor. Debating whether to leave the build where I can run the mower deck or not. This is something I need to decide quickly. Current 18HP opposed vertical Twin. Runs, will it stay? Depends on mowing capability. I would like to do some kind of rib tire on front and Ags on rear. Misc odds and ends and upgrades. Love the old Murray's. Yes another 2300 on the build off. Utility tractor build with 26x12x12 v-treads would be the bomb. Good luck! LOL, not really big on the really wide tires but who knows. I love utility builds! 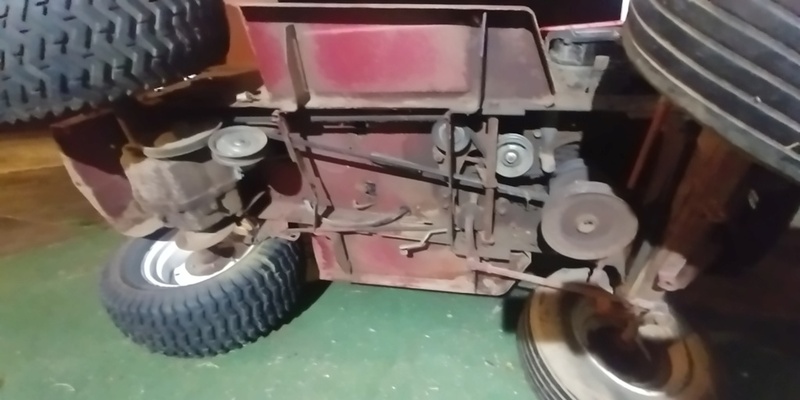 What kind of shape is the mower deck in? I would say 1-10, 10 being best; it's deck is a 4. Great to see ya in the Build-Off again Mighty! Good luck!! Great to see your 2nd GT entered!!! Love it! Excited what a minty Rig it will be getting.. It's that stupid double pulley clutch that is up against that footboard brace and the clutch rod so belt changes are a beast. Takes about 30-40 minutes minimum to change these belts. UGGGGG!!!! I hate it when stuff is built complicated!! Going to be a good outcome with that 2300! I'd keep that opposed twin, She'll give you lots of power. Well... that got ruled out quick. It would take a lot of ingenuity and too many moving parts to pull that one off. Old murray frame just isn't up for that task. Nice build! My Deere is kinda similar, you have to remove the rear pulley to get the belt on, too complicated. And the rear belt still comes off lol. I'd keep the deck an option, personally. 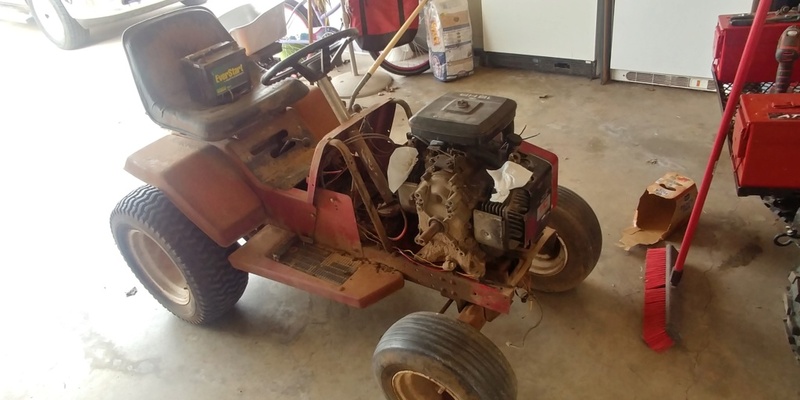 You can always remove the deck stuff later if you decide to make it a non-mowing tractor. There's plenty of room to put it on the transaxle pulley. I think this one has a broken pulley. As for the deck. It would need a lot of work now that I look at it. more $$ than I want to put in that. Besides, I have 2 other tractors that mow. I could rig up a 3rd if needed with minimal effort. 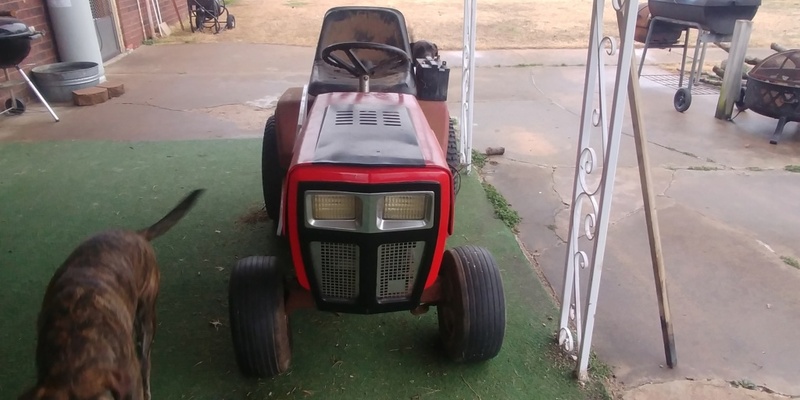 So even though the tractor looks a lot alike... the frame on this one I would consider near JUNK. Lighter gauge and easy to bend. Starting to reconsider this tractor. Don’t sweat it. You’ve got good fabrication experience under your belt. I know you can build a frame from scratch or a sub frame to make this work. As a bonus you could make a frame to make that horizontal oppy work. 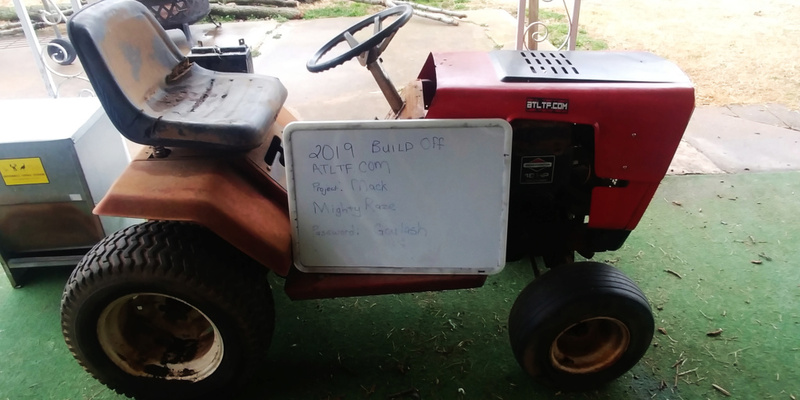 Remember the guy last year that made his own wheel horse style frame? So... I'm not diggin this frame. Thinking about abandoning this one and reviving the Sasquatch, rename and make it back into a utility build. 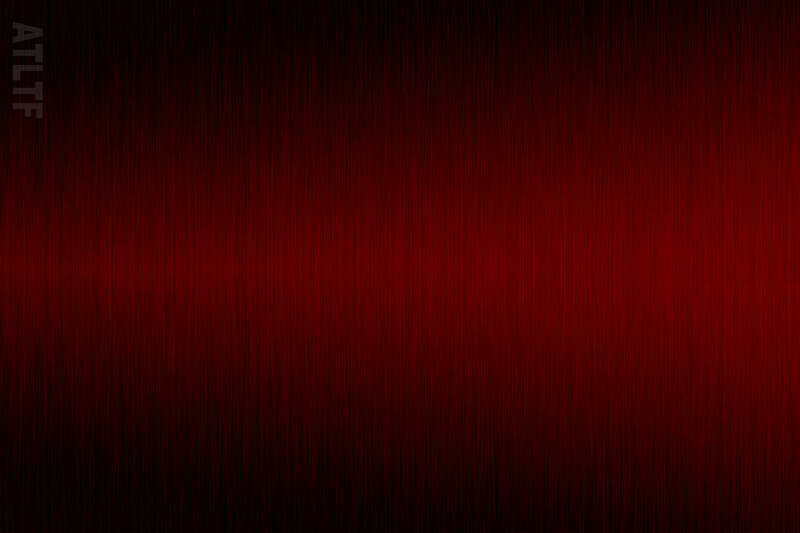 It would lend to give the hood back to Li'l Red. I'm having trouble envisioning anything with this murray. I don't know what to say at the moment.